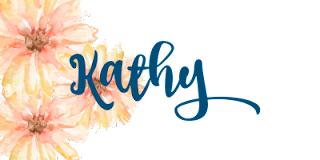 #stampinup #faithfulinkspirations The "Artistic Impressions" stamp set comes with heaps different images just waiting for you to create something fun and beautiful. Take this card, for instance. The sentiment is fun. The two-step flowers are fun. The colors are fun. And the sentiment is beautiful! We made this card at the Proverbial Stampers & Friends new catalog gathering. We started by stamping a sentiment from the "Artistic Impressions" stamp set in Shaded Spruce Ink at the bottom of a 3-7/8" by 5-1/8" Whisper White Card Stock panel. Then we stamped a row of grass across the middle of the card--some in full strength Shaded Spruce and some in half strength. 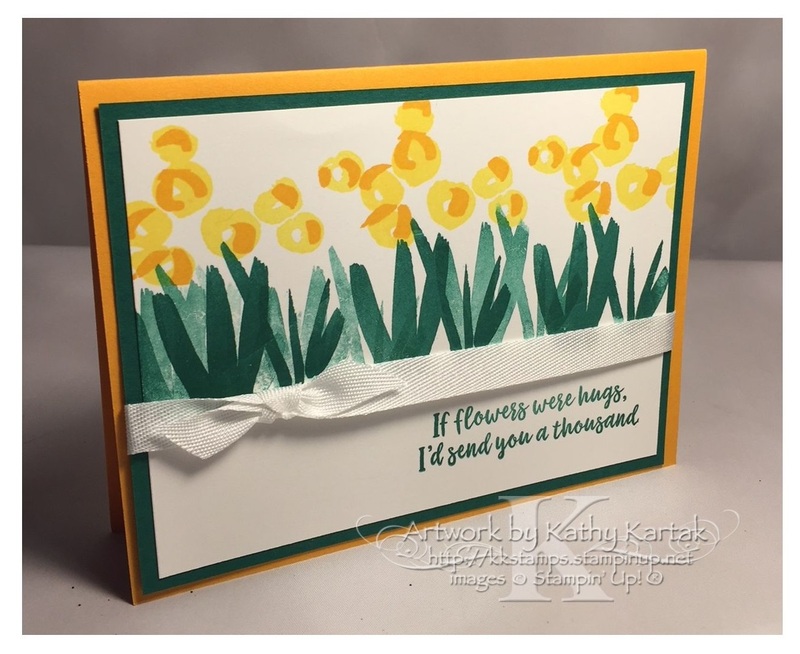 We used the two-step stamps to make the flowers in So Saffron and Mango Melody Ink. We adhered the stamped panel to a 4" by 5-1/4" Shaded Spruce mat. We wrapped a length of Whisper White Classic Weave Ribbon around this and then adhered everything to a Mango Melody Card Stock card base. This card is fun and beautiful in an abstract impression kind of way!